Home > Meat – cook it right! Meat – cook it right! 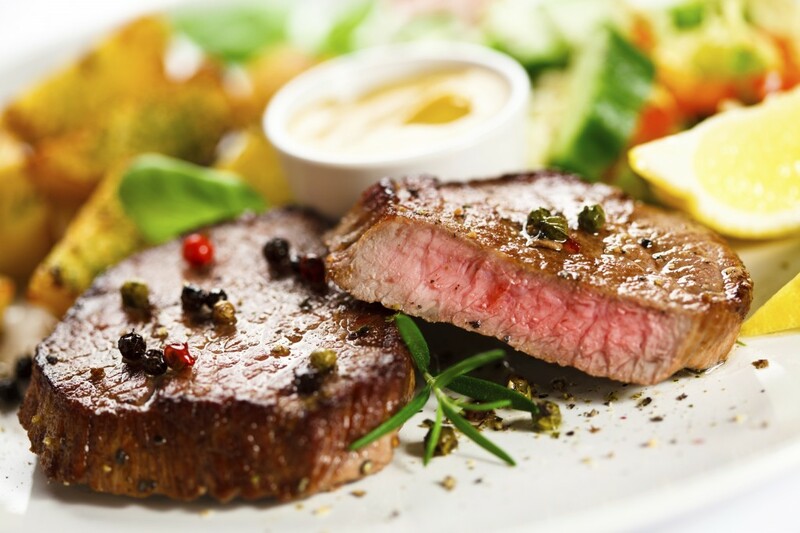 Have you ever wondered about the ideal cooking time for a rare or medium steak? If you want perfect barbecues, chops and kebabs, then you need to know just how long to cook each type of meat ! Rare, medium or well-done – how do you like your steak ? Needless to say, the more you like your steak rare, the less you need to cook it. An extra-rare steak, for example, should be cooked in a flash so that it’s still almost cold on the inside. Steak cooked this quickly takes on a slightly blueish tinge, which is why it’s also known as ‘blue steak’. Cooking tip : It’s much easier to cook meat properly when you have the right equipment. The OptiGrill, for example, adjusts to the thickness of each portion so that everyone gets their meat just how they like it. For maximum flavour and texture, follow the prescribed cooking times for each type of meat. Meat that’s too well-done will be tasteless and tough as leather, while some of your guests may feel a bit queasy if their meat turns out too rare! Extra-rare/blue: 30 seconds to a minute per side. Well-done: Three to four minutes per side. 15 minutes per pound of meat. 7 to 8 minutes per side.